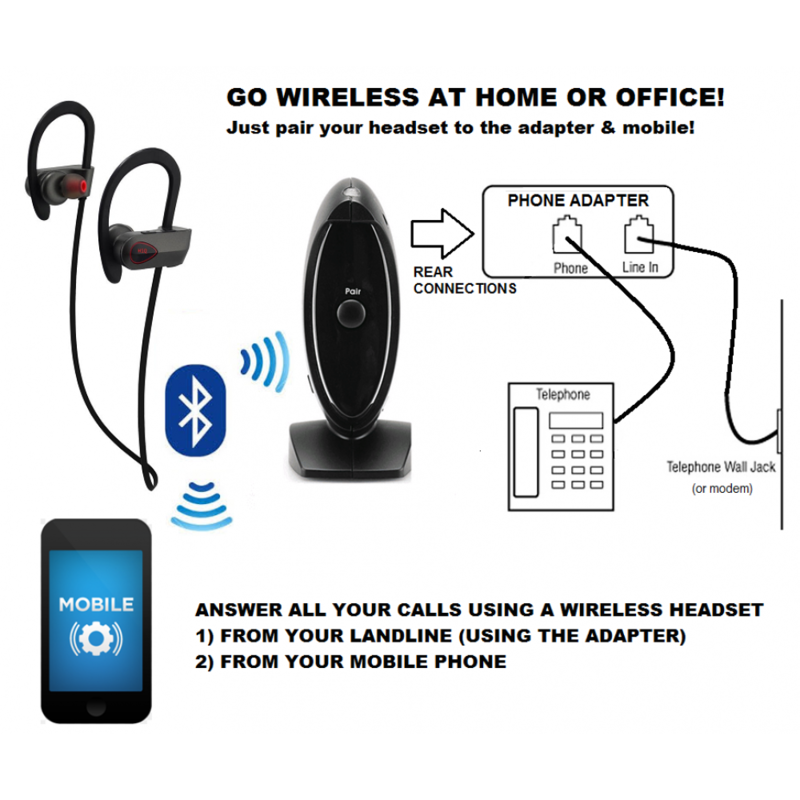 Answer all your calls using this headset -- This combo features our completely redesigned Bluetooth adapter device that converts your traditional non-Bluetooth landline home/office telephone line (PSTN or VOIP telephone line) to Bluetooth and allows you to answer calls using a fully compatible Bluetooth headset; our latest U8 version with extra comfortable aorund-the-ear support. Now you can enjoy crystal clear wireless convenience of hands-free communication with this gadget, and answer calls more freely. Compatible with standard analog or VOIP phone systems, Key systems, and PBXs (single (DID) phone lines ONLY). Multitasking at home or Office? Easy! With this Bluetooth telephone adapter you can use any Bluetooth headset with your land-line telephone for wireless communication. 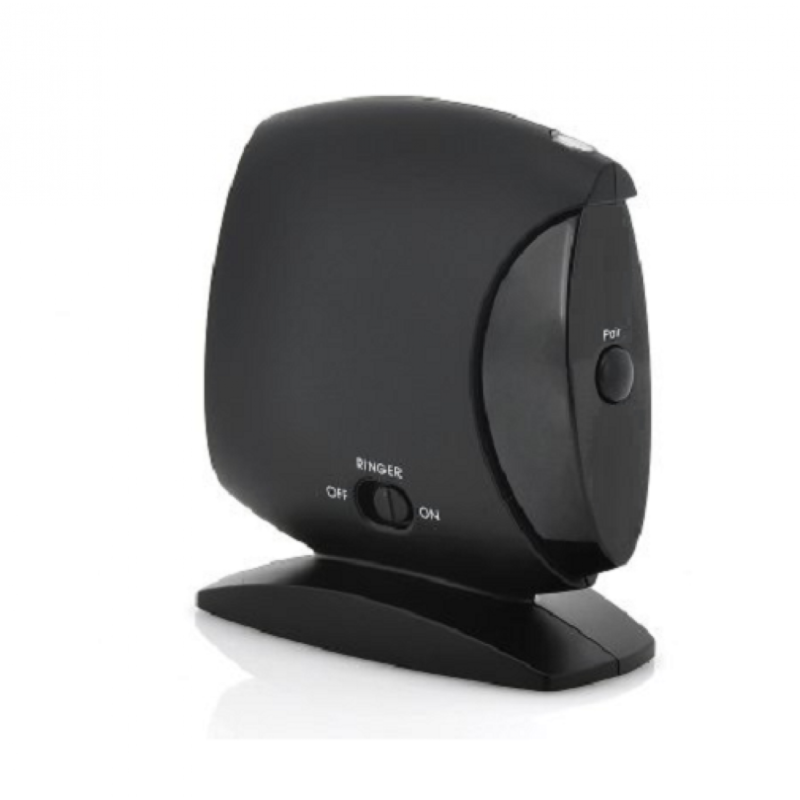 This convenient device will allow you to complete task such as cleaning, cooking, or babysitting, all while taking calls from relatives, friends or your co-workers. Ideal for parents of small children! Now you can look after your toddler while talking on your landline phone without the use of your hands or messy wires. Use in conjunction with existing phone(s). 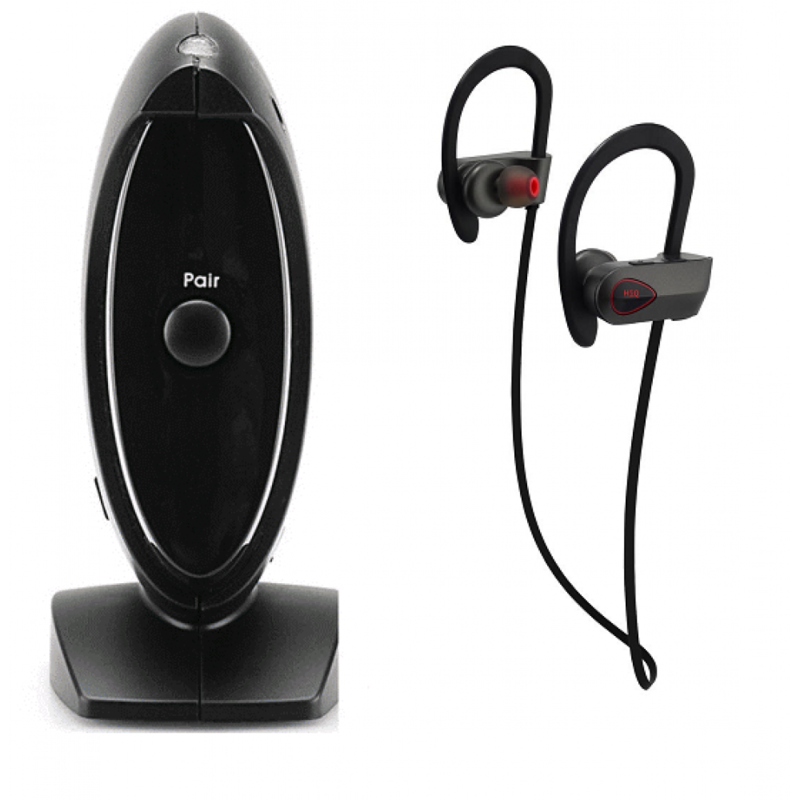 Compatible with all Bluetooth 2.0 + headsets. Easy-of-use, quick pairing. Ideal for parents of small children! Now you can look after your toddler while talking on your landline phone without the use of your hands or messy wires. ▶ Easy-of-use, quick pairing. 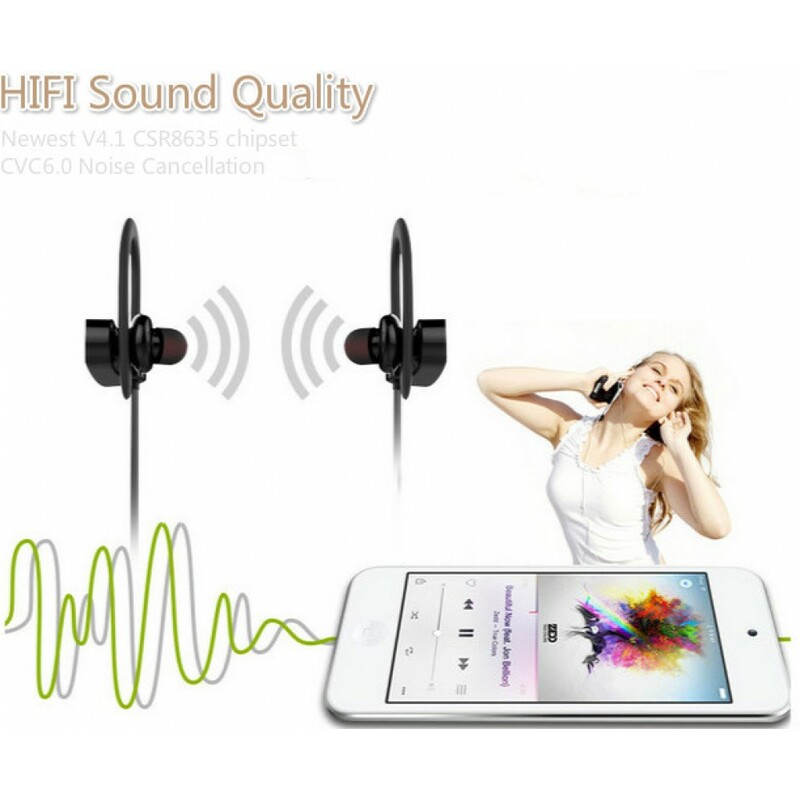 Supports up to eight (8) Bluetooth headset devices. Build-in 4 sets default PINs for facilitating pairing. 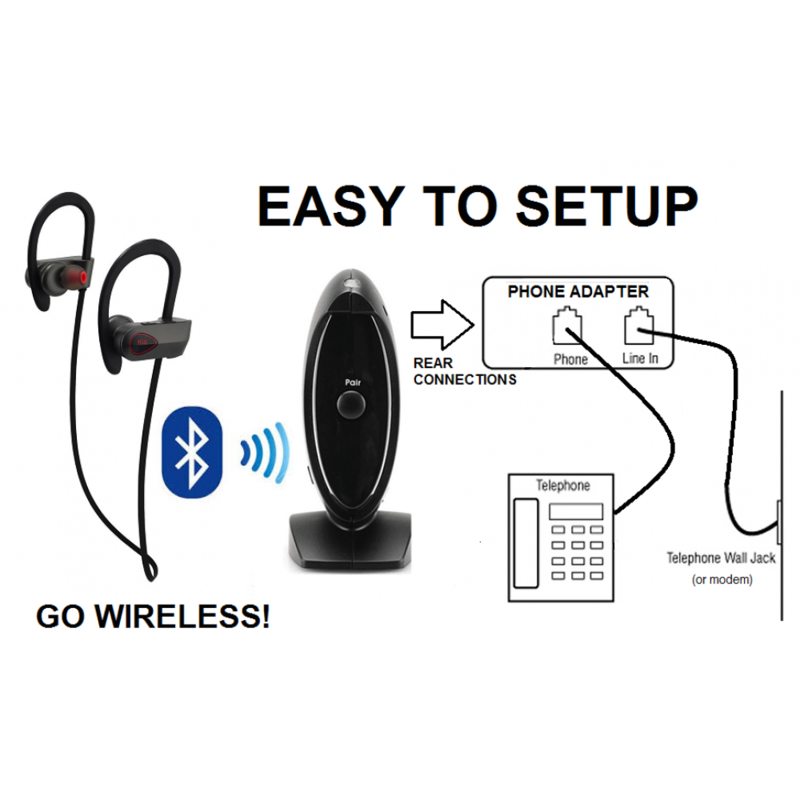 Provide manual pairing for special Bluetooth operations. ▶ At home, you don’t have to rush any longer to get your phone while doing shores, cleaning, taking care of children, working around the yard. ▶ At work, make your phone extension portable. You can roam around your office and still answer your incoming calls when needed. 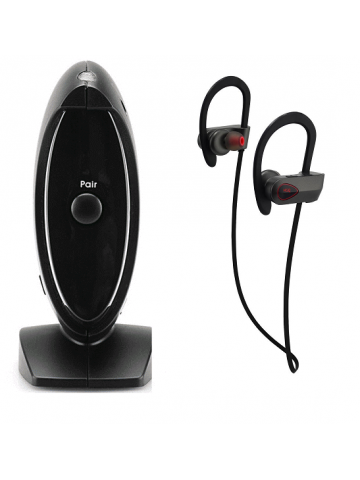 ▶ Compatible with all Bluetooth 2.0 + headsets. Working distance up to 300 feet (100 m). ▶ Works with analog phone of key phone system or PBX. With this Bluetooth adapter you can answer calls from virtually anywhere within 300 feet from the base. ▶ At home, you don't have to rush any longer to get your phone while doing shores, cleaning, taking care of children, working around the yard. ▶ At work, make your extension portable. You can roam around your office and still answer your incoming calls when needed. 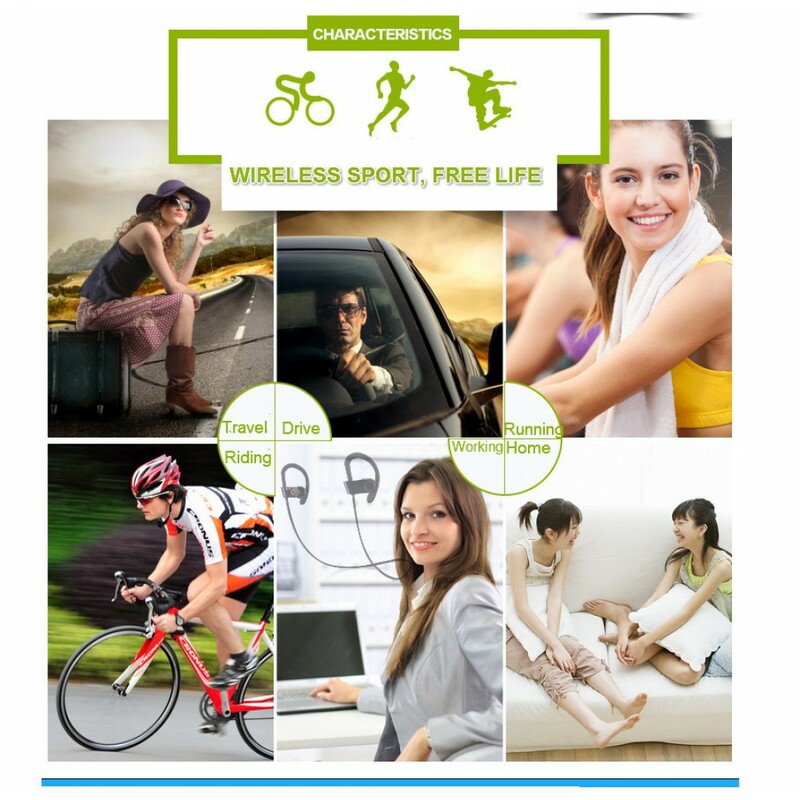 Stay active while waiting for important phone calls, transfer any regular analog (PSTN) or VOIP phone line to a Bluetooth headset! 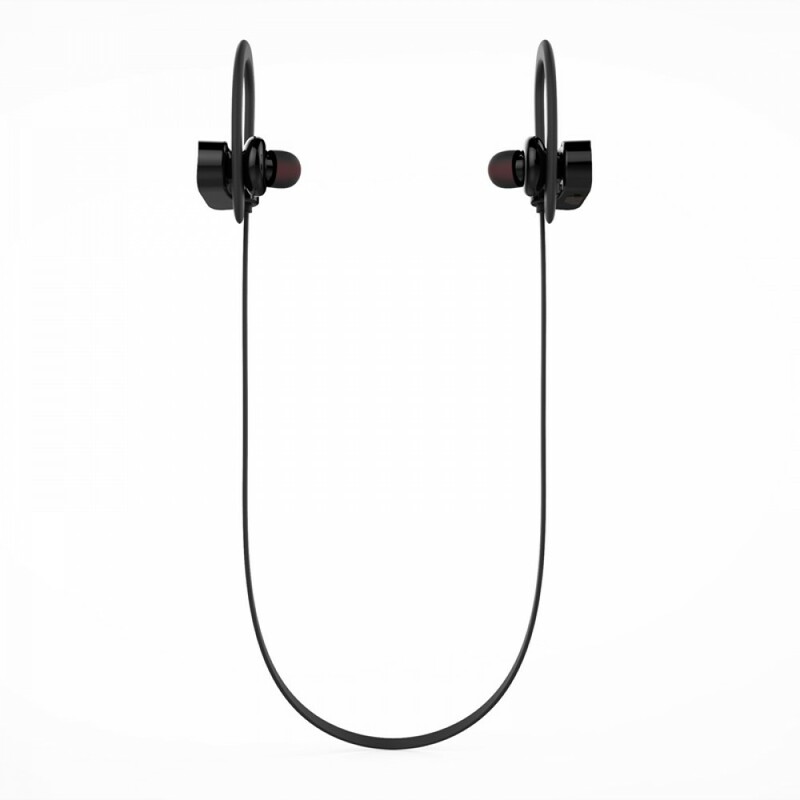 The HiQ U8 headset's new Bluetooth specification uses state of the art technology to help devices stay paired longer whilst using less power. This headset is also backward-compatible with earlier versions of Bluetooth so there's no need to throw away your old cell phones.